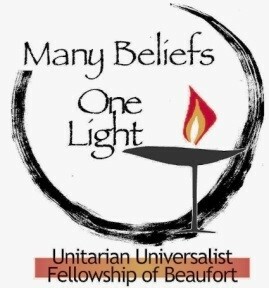 Unitarian Universalism is a liberating faith called to create Beloved Community. We believe that the governing principle of all relationships is the principle of love, which always seeks the welfare of others. How we have agreed to be together can be found in our covenant which holds us accountable to each other with the intention of striving toward Beloved Community. Everyone is welcome here, no matter whom you love, the color of your skin, your sexual or gender identity or your religious or philosophical beliefs. Our Faith draws on many religious traditions, welcoming people with different beliefs. We are united by shared values, not by creed or dogma. UUFB offers the individual a place to center oneself, programs to expand one’s heart and mind, and a supportive community in which to question, celebrate and work towards justice and peace.